We are at the MAAG cultural centre in Zurich for the Volvo Art Session. In the former factory, dance duo Honji Wang and Sébastien Ramirez perform a captivating fusion of hip-hop, ballet and Capoeira, while a masked Ata Bozaci spraypaints a matt-white V90 in black before the urban artist theatrically peels the tape off to reveal his graffiti. All this is sound-tracked by Pablo Nouvelle’s electro-pop. These art/commerce collaborations can be a mixed affair, but here in Zurich’s edgier corner (the former industrial and railway backlands) it somehow seems to work. Volvo would like to explore the marque’s potential through creative projects like this. 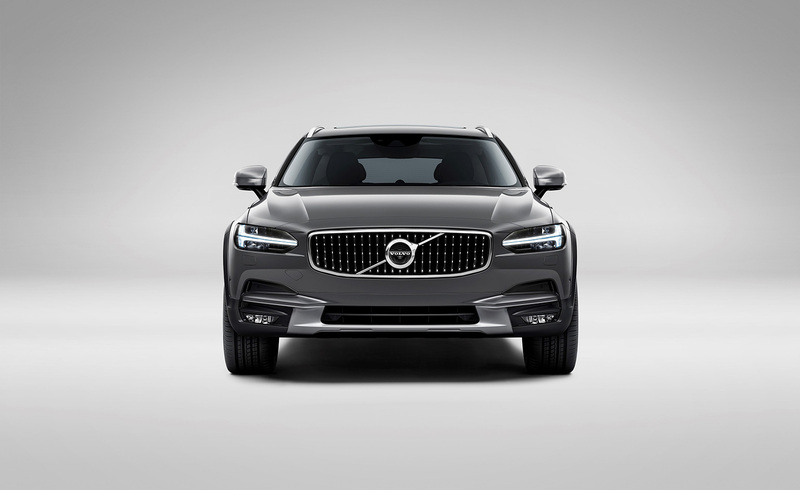 Brand perception remains focused on the company’s reputation as the maker of safe family cars and although this isn’t a bad thing, especially at a time when the car is being increasingly demonised, Volvo still wants to be seen as thoroughly modern and international. This second personality, we’re told, is still rooted in the marque’s Scandinavian heritage while also reflecting a more modern Sweden, a country’s that’s technical, connected, advanced. It also tells the story of the company’s evolution under its Chinese multinational owners Geely. This means focusing as much on design and engineering as on connectivity, electrification and autonomous driving. Volvo will still do things differently to its German premium car rivals. Here the focus will be on exposing the more human side of digitalisation, on utilising technology as a way of taking the stress out of life. 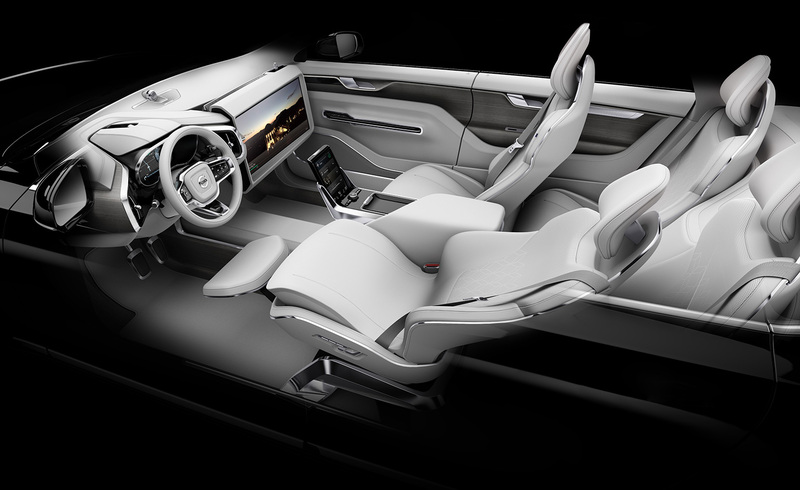 Much in the way that Tesla has carved a space in the crowded auto market with its unique products – a marque a Volvo spokesperson admits has been hugely inspirational – here the company will own a place too, with its compelling narrative that is centred on the wellbeing of its occupants. In other words, the expression of safety in the modern driving world. Earlier in the evening we saw the V90 Cross Country concept debut at MAAG. For the leader in estate cars, this crossover car seems like a natural product, for it is an estate that can get its tyres dirty thanks to a flexible chassis built on a new platform and one that will help develop the upcoming V60 and V90 cars. The car will head to production in November and foresee the replacement of Volvo’s entire family of eight models, with the aim of delivering 800,000 cars globally by 2020. The V90 Cross Country is a welcome return to a more confident Volvo of formal simplicity on the exterior, and a homely cabin offering a democratic space where all occupants are treated equally in contrast to the severely driver-focused seating position offered by other premium marques. The car cabin on display features natural flame birchwood, ‘pearl’ hand-stitching on the soft nappa leather seats, accents of shiny chrome with jewel-like textured diamond-cut controls, a 19-speaker Bowers & Wilkins sound system, and an easily-understood, fully-interactive digital interface. Volvo offers a number of innovative apps including Volvo On Call, that allows you to configure the car settings from your home; and in Sweden an in-car Deliveroo of sorts called Roam Delivery, a digital key that allows you to pre-order your groceries and have them delivered to your car boot remotely. The company is exploring the autonomous future through the Concept 26 prototype, and all 90 series cars can be ordered with Pilot Assist to be driven semi-autonomously in certain road conditions. Then there is Drive Me, a pilot driverless project with the XC90 in Gothenburg and a similar project, we’re told, is planned later in London.